The most modern and culturally captivating city in the world, Tokyo, is in the heart of Japan and of many tourists. It’s incredibly safe and all set to be explored and experienced. 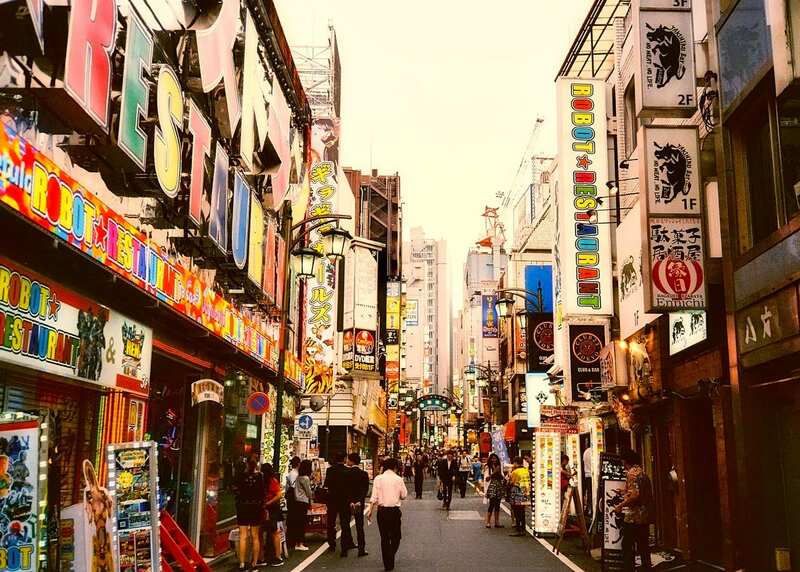 But one common question that first-time travellers have about Tokyo is: where should I stay? Tokyo is a big city so we revisited it to uncover its top neighbourhoods along with its best spots and accommodation options. Use this guide to pick where to stay in Tokyo on your next trip. Central West, great ambience, restaurants and shopping areas, connected to JR Train Yamanote Line, Metro, Airport Limo Shuttle Bus and train to Mt Fuji and Hakone areas. 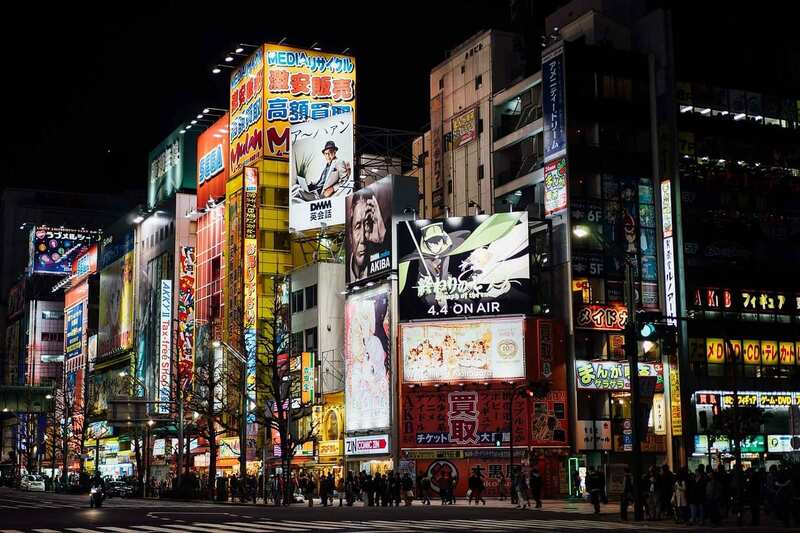 Shinjuku is undoubtedly one of the famous areas of Tokyo: it is central, busy and bright. The high-rise infrastructures covered in mind-blowing neon lights and endless shopping strips in Shinjuku entice people from all over the world. The fun-loving people and young at heart will find haven in the nightlife, restaurants, bars, entertainment spots, and “Love Hotels” in this neighbourhood. Shinjuku feels also like a cloud 9 to photography fans and camera collectors, as the west exit of the train station leads to a bustling area of camera stores. Shinjuku is also considered a transportation hub, very well connected with metro and train lines along with buses options. Shinjuku Station is served by JR Line, Seibu-Shinjuku Line, Keio Line, Odakyu Odawara Line. Shinjuku Expressway Bus Terminal (Busta) is one of Japan’s biggest terminal’s and has connections to Japan’s main cities and surrounding area like Mt Fuji. The Airport Limousine Bus coming from Narita has several stops at Shinjuku’s hotels. Tokyu Stay Shinjuku (~ 161 SGD/night) – This place offers ‘value for money’ type of accommodation. The rooms are in comfortable size with the convenience of basic appliances. The location is strategic if you’re looking to really explore the area. It’s a few minutes walk from Shinjuku-sanchome station. There is a bar next door where you can have a budget-friendly breakfast. Keio Plaza Hotel Tokyo (~ 402 SGD/night) – This is a 5-star hotel boasting 21 dining options with international cuisines. The world-famous Shibuya is almost just a cartwheel away. Shinjuku train station is a 10-minute walk from here. Central, great shopping area and variety of local restaurants, connected to JR Train Yamanote Line, Metro and Airport Limo Shuttle Bus. If London has Oxford Street and New York has Fifth Avenue, Tokyo has Ginza. Ginza is considered the upscale neighbourhood of the city populated with high fashion brands, shopping malls and cocktail bars. Shopping is the place’s battle cry. During weekends and holidays, Ginza’s Chuo-dori (central street) becomes a pedestrian-only zone making it quite a pleasant place to stroll around. This used to be a good spot to access the now-closed Tsukiji Market. 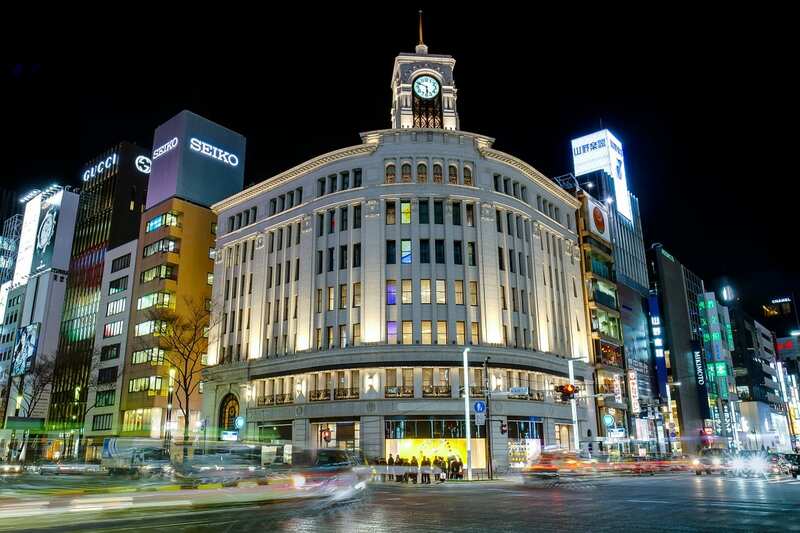 Ginza Station is served by the Hibiya, Marunouchi and Ginza Subway Lines. Tokyu Stay Tsukiji (~ 126 SGD/night) – The cosy rooms of this hotel are just right next to the famous Tsukiji Market (now closed and relocated to the Toyosu area). Imperial Tokyo Hotel (~ 474 SGD/night) – This 5-star hotel speaks luxury the moment you walk in the lobby. Everything is grand — from the pillars to the staircase. It has 13 restaurants and 13 bars. There is complimentary tea in the morning. And, Ginza station is just a few minutes away. Northeast, great local atmosphere and variety of restaurants, convenient to visit Senso-ji temple, connected to Metro and Airport Limo Shuttle Bus. This is the neighbourhood you go to if you want to experience the old Tokyo. 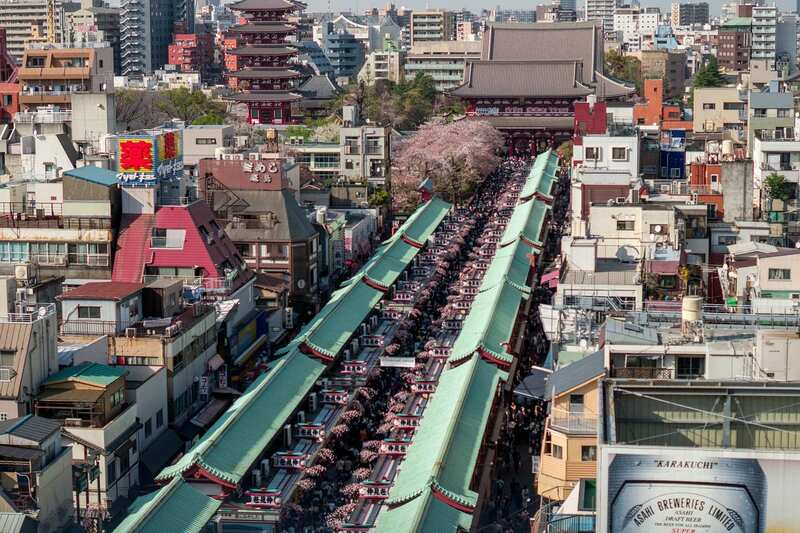 It’s more laidback compared to Shinjuku and Ginza and is where the Senso-ji temple is located. If you’re looking to buy traditional Japanese souvenirs, this where you get your shopping bags ready. Asakusa is also home to many Japanese wrestlers. It is where you will find the Ryōgoku Kokugikan or the National Sumo Hall. Asakusa is connected to the Ginza Subway Line, Asakusa Subway Line, Tsukuba Express and Tobu Railways. It can also be accessed by the Tokyo Water Bus. MyCube by MyStays (~ 58 SGD/night) – Solo and small group travellers will love this accommodation. It’s famous for its cube pods. The pods have safe storages and place’s WiFi is pretty good. Sadachiyo Ryokan (~ 151 SGD/night) – This place is a traditional Japanese inn. You can sleep on a futon bed, have a nice Japanese hot spring bath (onsen), and eat traditional Japanese breakfast and dinner. Central West, great environment and selection of shops, cafes and restaurants. Connected to JR Train Yamanote Line, Metro, Narita Express Train and Airport Limo Shuttle Bus. 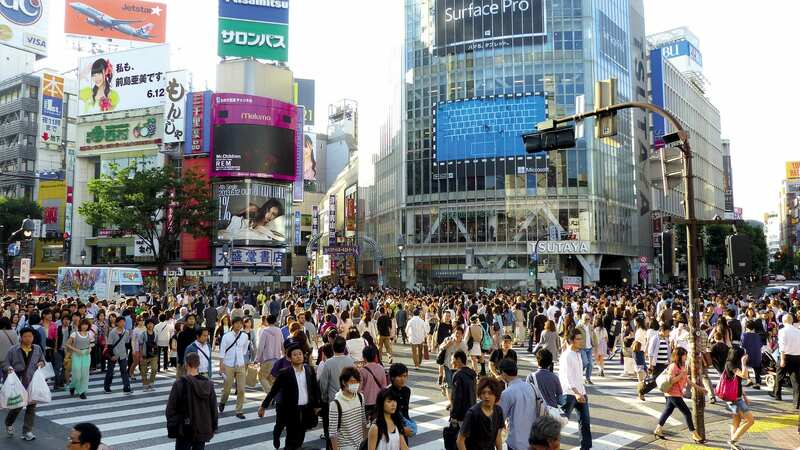 There’s no way we’re missing to mention the infamous crosswalk when we talk about Shibuya. Tourists somewhat have the obligation to take a photo of themselves while crossing the pedestrian. It’s THE picture of Tokyo we all have in mind. Shibuya is busy, colourful and trendy. You can also find the neighbourhood of Harajuku in Shibuya. It’s known to youngsters for its the emo or goth sub-culture. Takeshita-dori is a good spot for speciality store shopping. Shibuya Station is one of Tokyo’s busiest stations. It is served by the JR Yamanote Line, JR Saikyo Line, JR Shonan Shinjuku Line, Hanzomon Subway Line, Ginza Subway Line, Fukutoshin Subway Line, Tokyu Toyoko Line, Tokyu Den-Entoshi Line, Keio Inokashira Line and the Narita Express. Shibuya Hotel En (~ 122 SGD/night) – Like Japanese comics? This hotel’s walls are covered with them. It’s strategically located being just 5 minutes away from the crosswalk and train station. Cerulean Tower Tokyu Hotel (~ 435 SGD/night) – This hotel overlooks the entertainment centre of Tokyo and its skyline. It has 2 Japanese rooms which guests can book. It has a fitness centre, a jazz club, a sake bar, an indoor pool, and a lot of restaurants. Central East, good entertainment and shopping area (electronics) with affordable stays. Connected to JR Train Yamanote Line and Metro. We’ve now reached the otaku paradise. This colourful town is a gamer’s dream come to life. Electronic stores are everywhere, and the streets seem to jump right out of manga comic books. Akihabara connects with the JR Yamanote Line, the Chuo-Sobu Line, the Keihin-Tohoku Line, the Tsukuba Express line, and the and the Tokyo Metro Hibiya subway line. Hotel Mystays Asakusabashi (~ 67 SGD/night) – The rooms are simple and clean. The interiors combine traditional Japanese design with modern minimalism. It’s just a few minutes walk from Asakusabashi Station but you can ride a bike here if you feel like strolling Tokyo in wheels. Akihabara Electric Town is just 10 minutes away from this budget hotel, btw. Since Akihabara is much more placid compared to other towns, luxury hotels aren’t that popular. Most of what you can find is the budget and mid-range ones. Northeast, good calm area with museums, art galleries, zoo, and parks. Connected to JR Train Yamanote Line and Metro. Ueno’s neighbourhood is the opposite of the other urban streets in Tokyo. It’s quiet and has cheaper accommodations, making it a good vacation spot for families. This neighbourhood is best visited in the spring. Beautiful cherry blossoms bloom, then. 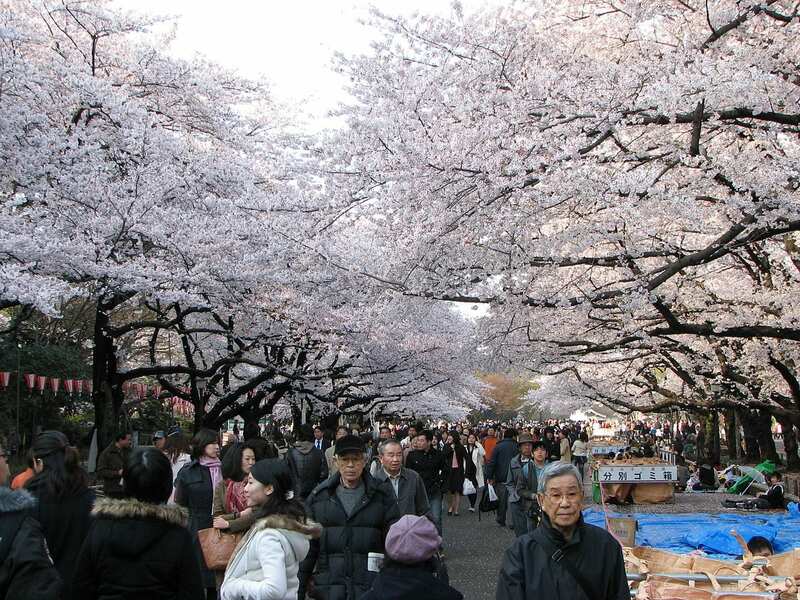 The Ueno Park is the best spot to admire the flowers; it’s been around since the Edo era. With Ame-Yoko and Ueno Park nearby, Ueno Station is also a good starting point if you want to do Tokyo sightseeing. Some of the lines serving JR Ueno Station are Keihin Tohoku Line, Yamanote Line, Joban Line, along with the Shinkansen trains bound for Tohoku and Hokuriku. There are many pricey hotels in Ueno being slightly away from the central business districts. Most accommodation options are reasonably priced for what they offer. Dormy Inn Ueno Okachimachi (~ 233 SGD/night) – This inn is just 15 minutes away from Ueno station. You can get to it via the Keisei Skyliner from Narita Airport in 40 minutes. There are free soba noodles in the evenings and a relaxing rooftop onsen. Hotel Coco Grand Ueno Shinobazu (~ 181 SGD/night) – The interiors of this hotel have a boutique design — small yet spacious. There are few amenities but you’re surely getting all the comforting necessities — onsen, sauna, a comfortable room, massage services, and a buffet breakfast. The Ueno Park and Okachimachi Station are within walking distance. Wow. That was quite a list, wasn’t it? I hope you find the perfect neighbourhood for your trip, though. I hope you have an amazing time in Tokyo. 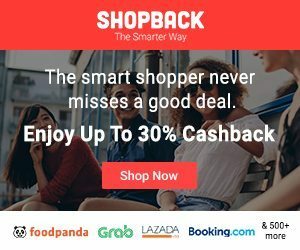 If you’re looking to book luxury, mid-range, or budget accommodations, don’t forget to check out our partner merchants Agoda and Booking.com through ShopBack. You’ll be earning cashback every time! Which part of Tokyo do you love the most? Let’s talk in the comment section below!